The impacts of climate variability and change in Niger are undeniable. These adaptation planning projects aim to enhance resilience. Photo credit: Fixing dunes in Niger - land management for climate change adaptation. Julie Teng, UNDP. 15 August 2018, Niamey, Niger – Two new climate change adaptation projects are being launched, which will be instrumental in advancing Niger’s National Adaptation Plan (NAP) process. The impacts of climate variability and change on development in Niger are undeniable and already very serious. These new projects aim to reduce vulnerability to the impacts of climate change by enhancing resilience. They will also support the integration of climate change adaptation into relevant new or ongoing policies, programs and work, particularly development planning processes and strategies, across all sectors. The strong political will demonstrated by the Government of Niger for the implementation of projects to advance national adaptation planning, combined with strong stakeholders’ backing, is set to ensure that significant progress will be made to strengthen Niger’s resilience to climate change. 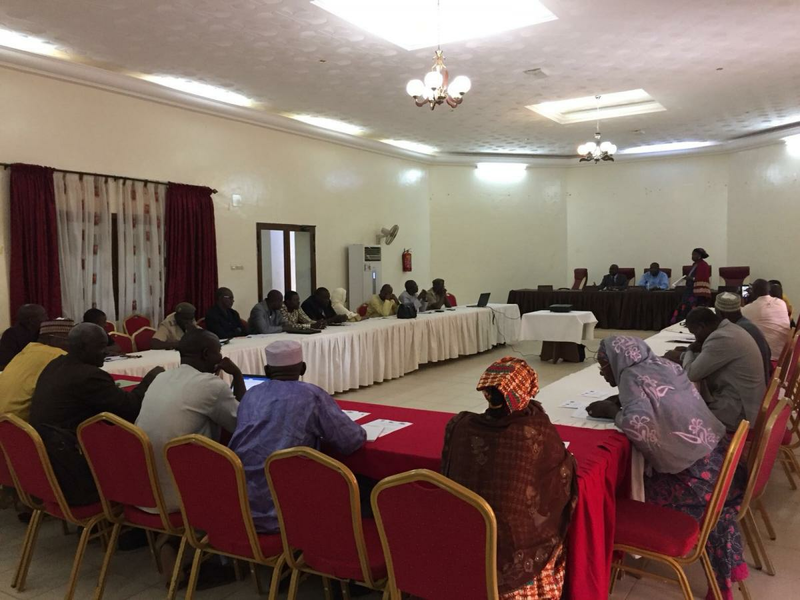 Key stakeholders gathered to discuss the projects at a launching workshop for the Green Climate Fund (GCF) NAP readiness project Planning and Financing Climate Change Adaptation in Niger. This was also an opportunity to validate the project document for the Global Environment Facility (GEF) – Least Developed Country Fund (LDCF) project Planning and Financing for Adaptation to Climate Change in the Niger Water Sector, which are both supported by UNDP. Stakeholders recognized the alignment of these two projects with the top priorities for the government – the PDES 2017-2021, I3N initiative. The workshop was organised by UNDP in collaboration with the Executive Secretariat of the National Council for the Environment and Sustainable Development (SE / CNEDD). Significant efforts have been made to advance the NAP process in Niger, with the support of the joint UNDP-UN Environment National Adaptation Global Support Programme (NAP-GSP). This will be accelerated by the Planning and Financing Climate Change Adaptation in Niger project, which the GCF approved for funding in February 2018. The core objective of the project is to advance medium and long-term adaptation planning by addressing the main challenges of integrating climate change into planning and budgeting in Niger. The project plans to; (1) strengthen the institutional framework to accelerate NAP process; (2) conduct inventories of available information on climate change impacts, vulnerability and adaptation, assess and address gaps; (3) bridge gaps and weaknesses in the implementation of the NAP process and comprehensively assess development needs and climate vulnerability; and (4) strengthen the monitoring capacity of the NAP process and progress in adaptation; 5) scale up adaptation financing. While the GCF project will build the basis for the NAP process at the national level, it will be complemented by the GEF-LDCF funded project which specialises in the water sector, critical and highly vulnerable to the impacts of climate change in Niger. It will also pilot some interventions on the ground in seven towns to increase access to water. Promoting synergies between the two projects will maximise the benefits, as both are directly supporting the NAP process. In order to boost efficiencies and leverage the work undertaken by each project, the two projects have been developed in coordination and will be implemented in close cooperation. A common working framework will be implemented, facilitated by UNDP and the SE/CNEDD. Personnel will also work across both projects to optimise the use of resources. They will both operate within the institutional frameworks, specifically the Sustainable Development and Inclusive Growth Niger 2035, the Economic and Social Development Plan (PDES) 2017-2021, the Nationally Determined Contribution (NDC), and various other Initiatives and interventions.